Win your part of $4,573,196.00 in fitness prizes. Open to residents of the United States who are 21 years of age or older. Limit one Play per person per day. Instant-Win Prize #1 (27,000): One (1) month subscription to Dollar Sweat Club and one (1) lifetime subscription to “Flat Abs Fast” abs workout routine. The “Dollar Sweat Club” prize must be redeemed by July 31, 2018. Approximate Retail Value (“ARV”): $61.00. Instant-Win Prize #2 (10,000): One (1) $50.00 TeeOff.com online gift code. TeeOff.com online gift code is redeemable at www.TeeOff.com/ULTRA and is subject to the terms and conditions as set by issuer. Gift code expires August 31, 2018. ARV: $50.00. Instant-Win Prize #3 (27,000): One (1) three-month subscription to Flow with Adee. Prize must be redeemed by July 31, 2018. ARV: $38.97. 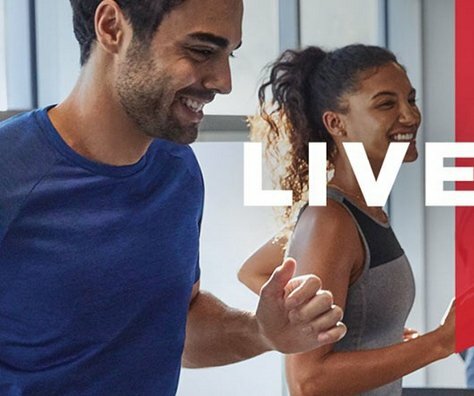 Instant-Win Prize #4 (30,000): One (1) month introductory subscription to ClassPass including three (3) exercise classes. Prize is valid for new ClassPass members only. Prize must be redeemed by June 5, 2018. ARV: $45.00. Instant-Win Prize #5 (334): One (1) workout class at Solace New York located in New York, New York. Prize must be redeemed by July 31, 2018. ARV: $30.00. Instant-Win Prize #6 (333): One (1) workout class at Shed Fitness located in Nashville, Tennessee. Prize must be redeemed by July 31, 2018. ARV: $22.00. Instant-Win Prize #7 (333): One (1) workout class at Vixen Workout located in Miami, Florida. Prize must be redeemed by July 31, 2018. ARV: $20.00.